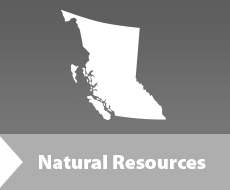 The Kamloops Timber Supply Area (TSA) covers approximately 2.77 million hectares in south central B.C. The Kamloops TSA is administered by the Thompson Rivers Natural Resource District. The TSA includes the communities of Ashcroft, Barriere, Chase, Clearwater, Kamloops, Logan Lake, and Vavenby. The current allowable annual cut (AAC) for the Kamloops timber supply area is 4 million cubic metres, effective June 1, 2008. This AAC will remain in effect until a new AAC is determined, which must take place within 10 years of this determination, unless postponed in accordance with Section 8(3.1) of the Forest Act. Public input is a vital part of the timber supply review process. A discussion paper was released on September 24, 2015. Feedback was invited until November 23, 2015, on any issues related to the timber supply review for the Kamloops TSA.